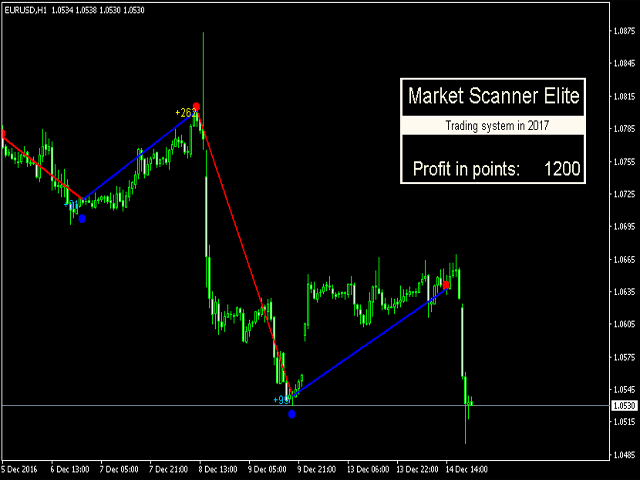 Market Scanner Elite is a new generation of indicators of the Market Scanner series. The Elite version features an improved market analysis algorithm, with a better identification of the entry points and filtering of the false signals. The logic of market analysis and calculation of effective entry points applied in this product are significantly different from those applied in Market Scanner. 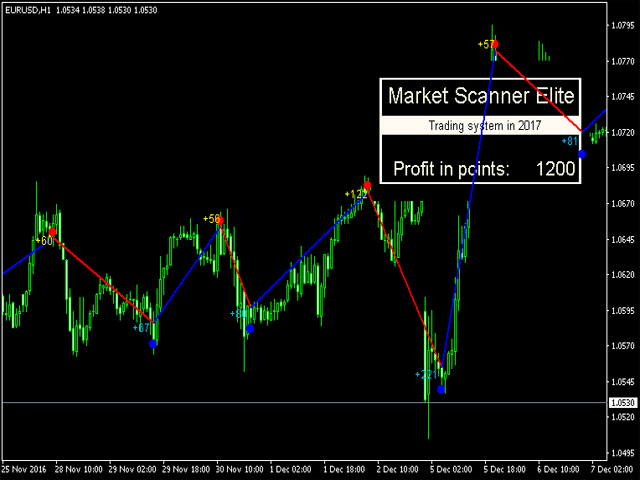 This indicator cannot be called a big brother, as it is a completely new product with innovative analysis algorithm. Once the indicator is attached to the chart, it determines the current market situation, analyzes the price movement using innovative complex algorithms of market analysis and shows the trader the most effective points for opening positions. This indicator will be useful in the portfolio of any trader: both beginner and professional. Simply attach it to the chart, and you will have a visual understanding of how to interpret its signals. All you need to do is wait for a signal and open trades in the direction shown by the indicator. The same applies to signals for closing orders. Periods - period of the indicator. Delay - calculation shift along the chart axis. Step - magnitude of the comparison of the market situation. bars - the number of bars to display the indicator on the chart. Sensitivity - send Email and Push notifications. Information_panel - show the info panel. When a blue dot appears, open a buy order. If there is an existing sell order, close it. When a red dot appears, open a sell order. If there is an existing buy order, close it. Does not redraw its signals. Works without delay on candles. Equipped with a completely new algorithm for analyzing the market.